We would like to welcome and are proud to introduce to you a new writer to our blog team: Ms. Heidi Hoke. It is strange how sometimes people meet in this world, and our getting to know each other was no different. Heidi had contacted my partner for different reasons without knowing me or our website. My partner had spoken highly of Heidi (for reasons you will read in her article) and had enjoyed meeting with her so much that she thought that I should meet Heidi too. 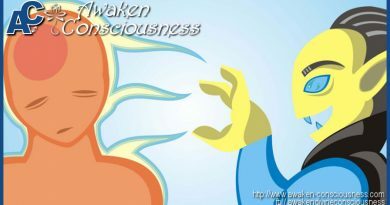 It was 2 weeks later when my partner and I were discussing where and when to get in touch with Heidi that we (Awaken Consciousness) received an e-mail from Heidi in which she said she was interested in contributing and writing for our website. Heidi didn’t know who I was or that I was the partner of Mary who she had met 2 weeks earlier. So Heidi, my partner and me met a few days later and we all felt the immediate connection on many levels. 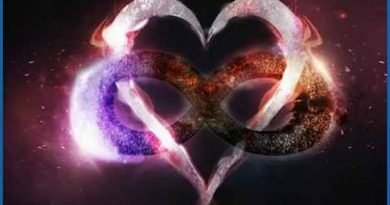 I personally believe that these kind of synchronicities are occurring more and more and that they lead us to our path and mission. It is up to us to be open and aware to them and to acknowledge them as possible markers that guide us towards our goals. We are very happy that Heidi has accepted to write for our website and share her incredibly valuable knowledge with the world. So, without further ado, here is Heidi’s first article, and what an article it is!! Get comfortable and be amazed by her profound experience and the wealth of knowledge she will share with us. The destination of a journey traveled is not the final place of cessation, but the transition into a new beginning, yet another journey to be sustained. I believe that it is when one is in that deep, peaceful, state of unconsciousness, that we can experience acute awareness of our authentic Self and the truth of our divine destination. Furthermore, it seems to be the time when we are far closer to our own resolution, than when we are in our familiar conscious state. It is a day in October of 2001 that I awaken to a transformative detonation of a personal kind, with my body limp, strapped to a hospital gurney, blinded by the bright surgical lights glaring down from above. Misaligned needle punctures sting my arms as the IV tubes connect the dots leading to the maze of multiple bags that hang above me. Painfully, they throb the veins of my hand. My head spins in a web of confusion and the inflammation in my brain reels my skull into a volatile response of explosive pain. I lay in damp sheets of my own cold sweat, limp, thirsty, unable to focus, as nausea overtakes my gut and a faint taste of blood seeps in my mouth. With no emotion left to be felt, I cry. Today, this is my life. It took forty three years to get in to this state of illness, but I ask myself, can I afford forty three years to get myself out of it? The sudden realization of the call to healing that I have been tasked with overwhelms and excites me. What an adventure, what a curse. 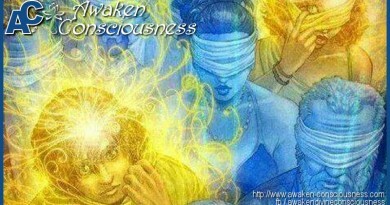 This was my insight of awakening and this is how it all began. My ‘attacks’ first occurred in 1970, at the age of thirteen, without noticeable consistency. My severe stuttering problem and body jerks since the age of three had reinforced medical treatment with sedatives and anti-depressants, as no definitive diagnosis could be made. By the age of thirty, my condition had remained the same, with a chronically predictable pattern… body pain, migraines, seizures, stuttering, mood swings, tics…repeat. Fleeting memory of past experiences similar to this began to enter my mind. It was during this time that I had one sudden seizure one evening, as I rocked my baby son. Through explainable circumstances, I fell back in the rocker and hit my head on the edge of a solid, wooden window sill. Bleeding and confused, my husband found me as I was still clinging to my little son, babe still in arms, both of us crying. He was fine and so was I. Life went on and we never would predict the delayed effects of that accident that would soon develop. It was a few weeks later that the (suspected) seizures began to escalate both in frequency and severity. 911 was called on many more occasions. I’ll never be able to prove what happened one night soon thereafter. I have concluded that explaining the phenomenon of the experience itself weighs far less than the effect it had on me. You see…the miracle was in the result of the incident itself. That night changed me. The person I was then would never return again. It may have been a seizure, a near death experience, other-worldly visit, or it may have been a spiritual awakening of a different kind. It could have been some combination of all four. In that early morning hour, my spirit rose out of my physical body. For some reason, the exact time was to be known, as I watched the flip clock click over to 3:10 am. As my husband lay sleeping beside me, I felt fatigued, sick and dizzy. I closed my eyes, took a deep breath and peacefully, yet consciously drifted into the journey. I was lifted up beyond my body to a height that exceeded that of the ceiling, as if it did not exist. I drifted into each of my two young children’s bedrooms, as they peacefully lay sleeping. Spiritually and telepathically, I expressed to them my deepest, unconditional love and a brief ‘goodbye’. I felt the deepest love that a mother could ever feel. I returned to view my own body which seemed still, peaceful, and empty. In that instant, a small bright hole appeared before me in the distance of my view, engulfed by black infinity. It appealed to my curiosity and I leaned into it. As the tunnel of light became larger and larger, I felt the sense of being propelled forward beyond my control, faster and faster as the light became brighter and brighter. The combined speed of propulsion and brightness of the light became so intense that I felt as if I was self-destructing. In an instant of near panic, it abruptly stopped. I was in total peace, feeling no limitation of my body, which now did not exist. I was surrounded by nothingness. It was a gray, vast oblivion in another spacial plane, which I had never known of before. 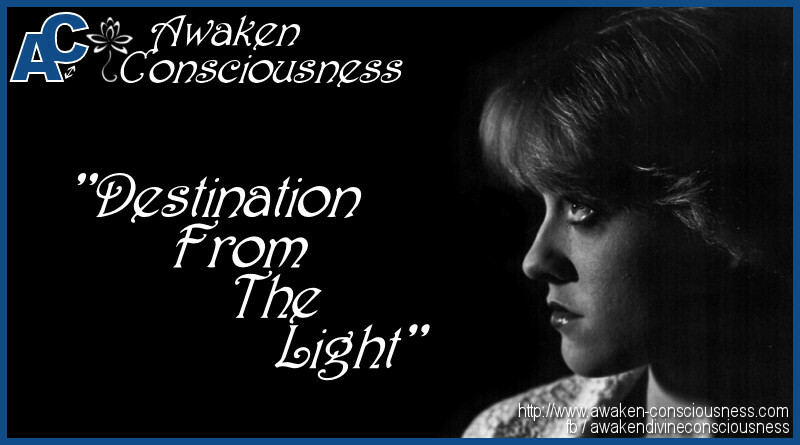 I had the ability to absorb immeasurable knowledge, guidance and instruction by means of telepathic intuition. Language was obsolete and I had shed my physical limitations in order to receive the messages to be collected. I knew this was a temporary passage and that my immediate and undivided attention was required. I was then joined by those who were there to give guidance and instruction. They were The Counsel of Seven, as they referred to themselves. They were the messengers for which information was to be given and received. The telepathically communicated download-information that I was to receive would be remembered only on an as-needed basis upon my departure back. I understood that I was on a necessary journey to receive information essential for the successful fulfillment of my mission within the physical realm on earth. It was clearly explained and understood that tools (both tangible and intangible) would be provided on an as-needed basis, in various forms including that of spiritual and religious guidance, education, intuition, humanitarian direction, books, financial exchange, and ‘all others’ that I would meet along the way to assist me. As these others assisted, I would also be placed for equal exchange of service to them, in their mission. Continuing messages revealed to me that the circumstances of my life and physical challenges thus far, had not been in vain, but were with great purpose and design. However, I was also to be made aware that these present circumstances of my physical life would become much more difficult in the near future, as this too was necessary and in ‘plan of order’. The messages continued…I need not be concerned about the severity of these circumstances of ill-health or physical life, but simply to be present, honor and obey direction with faith, committing to my purpose, as it would be later revealed. It was confirmed that I was not to be in this present place for long, as it was merely a meeting to gather the ‘instruction-of-task’. All information was to be ‘forgotten’ upon my physical re-entry, as full memory would cause bias in my actions while in the physical plane and as with the tools, this memory and information input would only be accessible as needed. This was necessary to allow responses to be experienced by spontaneous intuition in the present, rather than the bias of prior knowledge of the future. I then was briskly dismissed and returned the same way I arrived. In reverse, being hurled backward at an astonishing speed through an unknown oblivion of darkness, until the light of the tunnel became smaller and smaller, dimmer and dimmer. In a fraction of an instant, I opened my eyes, my head on the pillow and body limp. I knew with certainty that this had not been a dream. I looked at the clock. Still, with the clock showing 3:10 am, time had halted and my physical body had been immobilized. I must now sleep, for I had much to do. Radical change was imminent. The prophecy that my physical health condition would degenerate much further held true and correct. Thirty years later as an adult, I was still unable to speak fluently and my unsuccessful attempt to hide and disguise my tics and stuttering only reinforced the life-long sense of low self-esteem that I carried. I had experienced an extended period of traumatic stress and personal struggle in both my private and professional life, as my seizures became increasingly frequent and severe, never being properly diagnosed or treated. Additionally, I began to experience constant, chronic pain in my joints and muscles accompanied by severe, painful, open lesions down my arms. I was then diagnosed with fibromyalgia, but the wounds on my arms could not be diagnosed or treated by neither neurologists nor dermatologists. I was struggling as a single mother of three children now, working in technical publishing. My job fit me well. I could quietly working in a private, back corner cubical, consumed in detail without the demands of speaking or answering a phone. I could discretely hide the seizures that I often experienced, without discovery or unwanted intervention. That day in October was different. The seizures that struck me at work that particular morning were far from discrete, with 911 being immediately summoned by my supervisor. Twelve grand mal seizures occurred before I could reach the ER by ambulance. This was the sacred gift that was later to be unwrapped with both wonder and reverence. My hospital stay was brief, without further incidence or explanation, as usual. Two weeks later, ten more seizures occurred while in the waiting room to see my neurologist with a follow-up appointment. My condition had become resistant to the various medications then available. The incident that day resulted in a long-term bed-ridden state with multiple seizures daily. Most often in this vegetative state, having an estimated 30,000-50,000 such seizures of six various types, over a thirty-seven-year period. The medical treatment I had received had been thirty-five years of unsuccessful attempts with over fifteen various drug therapies, under the care of eight neurologists, two epileptologists and two neuro-psychiatrists in four renowned medical university hospitals. I had lost everything; my independence, the ability to care for my three children, my career, medical insurance, and the skill to drive a car. The home I had worked so hard to own for myself and my children was now listed for sale. In that present moment of uncontrolled, constant seizures I found myself in the raw reality of total submissive defeat. With the noise of Jerry Springer blaring in the background, I was well aware that this was the only stimulation that was keeping me conscious of the present moment. I was not able to lift my arm to swallow the pills which offered no relief. If this was my life, I didn’t want to live it any more. I had contemplated this for many months, giving my belongings away, and had no business issues left to complete. With three full bottles of anti-convulsant medications at my bedside, I imagined myself feverishly struggling to swallow them all at once. How peaceful it would be to end this now. I tried to lift my arm out from under the sheets to reach for the bottles, but it wouldn’t move. I was too weak. I continued to struggle with the other arm with no better success. It was now that the information download began. Sometimes we will do for others what we will not do for ourselves. I may not have wanted to live for me, but I must live for those who loved me. I loved those others enough to give them that. I then remembered the night when my Spirit drifted into the rooms of my two young children, expressing my motherly love to them. With that love went the promise and commitment not to abandon them in my own selfish cowardice and self-pity. I slept. I later awoke with a breath of elusive vigor. I looked over at the bottles beside my bed, gained the tool of strength needed to grab them, crawled to the bathroom only a few feet away, and pour them in the toilet, as they quickly began to dissolve. I crawled back to bed and slept, waiting for the next order, falling back into a state of nothingness. Days ran into nights, which ran into more days. Going in and out of consciousness, I was given an insight and it occurred to me that this experience was my covenant with God. While I felt alone with no options from the outside-in, I realized that this provided an excellent opportunity for limitless workings from inside-out, having no outside resistance, argument, or conflict. I realized that as it was no one else’s responsibility to heal me, then healing must reside within my own personal empowerment. Healing was my own responsibility and with that thought, I made a conscious decision at that moment to heal. Spirit was the one I knew who could assist me. Spirit and I made a pact in that moment and joined together with the greatest of force. With that, I fell into another deep sleep, waking up many hours later with the insight that would lead me to victory. On awaking, it occurred to me to try to resume some sort of self-study in nutrition, and structure my own program of natural medicine and healing. I had experienced some improvement years before, when I had briefly undergone nutritional and herbal support with a naturopathic practitioner, but had not continued the treatment to fruition. Nutrition had always been an interest of mine, even as a nine-year-old child, when I read books by Adele Davis in the 1960’s. Later that year, in that process of working all my healing options in parallel with conventional drug therapy, I was finally correctly diagnosed with treatment-resistant epilepsy, bi-polar disorder, and Tourette’s syndrome, the bi-polar believed to be a secondary complication of the many years of severe seizures. The doctors of the multiple teaching medical centers I had gone to didn’t know why or how and knew of no other options other than experimental treatments and surgical procedures. Being armed with at least some sort of diagnoses to begin my own research led me to a self-prescribed program of recovery. Beginning with intuitive self-hypnosis, visualization, and Reiki, I began to slowly rehabilitate my neurological physiology, with greater control over movement and balance, extending the time between seizures. With a swift revamping of my diet, unprocessed food choices expanded into experimentation with ketogenic diet variations that seemed to make sense to me. The incorporation of high levels of essential fatty acid therapy into the ketogenic diet plan was successful, which then allowed the addition of various herbs, supplements and amino acids. For the next four years I experienced steady improvement, to the extent that I was now fully functional. The seizures had decreased to only very few within a month. For me…that was victory. Consistently progressing, as I continued my own natural healing program, I withdrew from conventional medicine in 2007. I began work as a temporary employee in the medical device industry to allow myself time to become comfortable in the corporate workplace once again. In an effort to further educate myself in the quest for my own full recovery, I started online classes in 2007 to advance my own understanding in natural medicine. The entry-level Nutritional Consultant Certification program I began with blossomed into an educational bouquet which led me to successful completion of certification in Herbal Mastery, a Bachelor of Science Degree of Holistic Health, a Master’s of Science Degree in Homeopathy, certification in Hypnotherapy, and dual-doctorate degrees in Holistic Health and Naturopathy. I am now fully functional, with seizures controlled, symptom-free of both the bi-polar disorder and Tourette’s, my speech fluent, all without synthetic medication. The chronic pain of fibromyalgia has gone into full remission and my arms have fully healed. For me, as with so many others, natural medicine was a last resort. Now, it is my first resort. I consider my healing to be a divine gift, for it was God’s medical tools that have always been within my reach. It was my responsibility to use them. In the many years of study, research and careful consideration of the evidence at hand, I have concluded an explanation of my chronic health condition. In one word, Excitotoxicity. Being a baby of the 1950’s born into a family ridden with juvenile diabetes, I had been exposed to high amounts of excitotoxins, in the form of MSG, saccharine, aspartame, processed foods, additives and preservatives, and early immunizations. As it was well described by Russell L. Blaylock, M.D. in his book, Excitotoxins: The Taste that Kills, excitotoxicity has been responsible for the greater incidences of severe degenerative neurological function for the past sixty years. The early symptoms of stuttering, leg aches, seizures, facial and body tics, compromised reading skills, cognitive disorders, and memory lapses that I experienced as a young child, predictably developed into the classic symptoms of fibromyalgia, bi-polar, epilepsy and Tourette’s syndrome as an adult. The task which was revealed to me in my past journey, now continues in the destination of present. As promised, all is being provided; spiritual and religious guidance, education, intuition, humanitarian direction, books, financial exchange, and the most valued ‘all others’. I continue my commitment to show up and follow. After having this experience, I commit my life to practice the neuro-science and art of natural health, educating and promoting organic, unprocessed food with the natural intervention of botanical medicines. I offer the hope and mechanisms of healing. This is my profession, ministry, and passion, sharing support and self-empowerment to those who seek help, with the steadfast commitment and determination to the life of natural health practices. by Heidi Hoke, PhDc., NDc., HHP, CHt. Heidi is founding owner and practitioner of Vitae Pondera Institute of Natural Health. She is presently writing dissertation work for dual-doctorate degrees in Holistic Health and Naturopathy (PhD and N.D.) at Kingdom College of Natural Health. She completed a Master of Science degree specializing in Homeopathy and a Bachelor of Science degree in Holistic Health as a Nutritional Consultant, Master Herbalist, and Holistic Health Practitioner. Heidi works in a private naturopathic, practice, having earned designation as a Qualified Dementia Care Specialist from the Alzheimer’s Foundation of America (AFA), offering educational support for Alzheimer’s patients and their families throughout east Texas. She offers a diversity of natural medical options including medical hypnotherapy as an adjunct modality since receiving her certification in Advanced Hypnotherapy by the Hypnotherapists Union Local 472-2011. As a Board Certified member of the American Association of Drugless Practitioners Commission, (Cert. No. 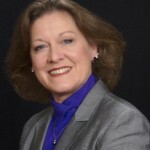 90313412), she is founding leader of AHNA: Expanding Resources Chapter, for the American Holistic Nurses Association, dedicated to educational and cultural diversity of holistic practices within the integrative medical community. Amazingly well written! I really enjoyed this! Thank you. I will be continuing these contents through future related articles.